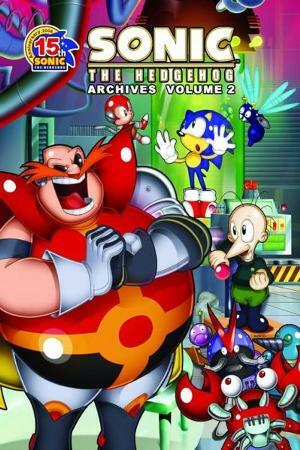 Volume 2 of Sonic Archives tells a wide variety of tales, including a retelling of the classic story “A Christmas Carol,” a dedicated retelling of the video game Sonic Spinball, and even a Halloween based story. 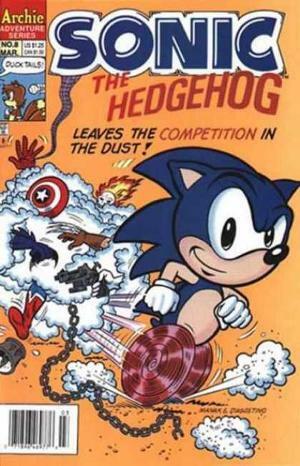 There’s a handful of firsts in this volume as well, including the first time we hear mention of Sonic’s Uncle Chuck. You’ll laugh, you’ll cry, and you’ll be amazed they fit in a Steve Urkel reference! Rotor is excited by an advertisement showing off a new ant farm and happily orders a set for himself. What he gets though is a robotic termite sent by none other than Dr. Robotnik! When the termite eats, it grows bigger and bigger, devouring everything made of wood in its path. This story is a retelling of sorts of the events that take place in the Genesis video game Sonic Spinball. Robotnik has relocated his headquarters in a volcanic mountain and Sonic ventures into his labyrinth to put an end to Robotniks plans. 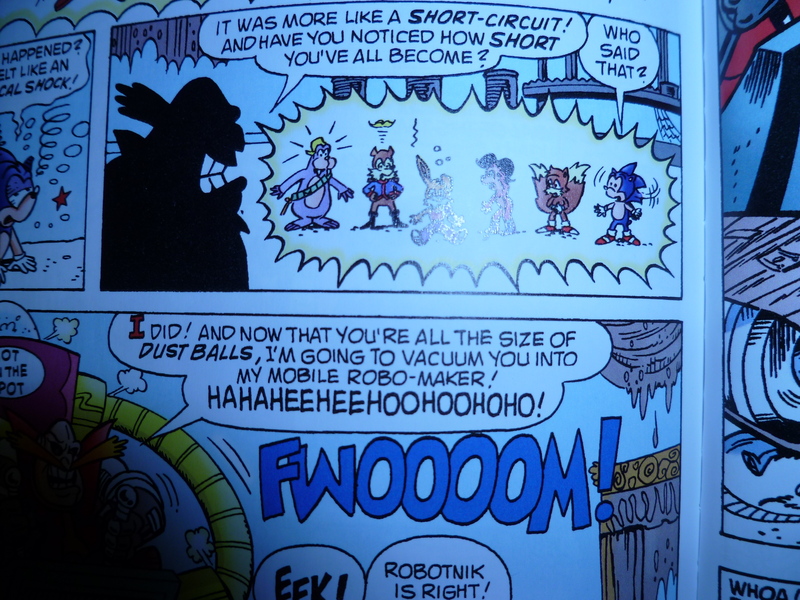 A retelling of the classic Christmas story “A Christmas Carol.” Robotnik plays the role of Scrooge, and he visits the three ghosts of Christmas, played by the Sonic crew. Tails accidentally uncovers a treasure map hidden by Sonic’s Uncle Chuck. The Freedom Fighters decide to see what Sonic’s uncle buried, but not before Robotnik gets wind of the Freedom Fighters’ adventure. Sally sets off on her own to find a stick to complete her sorceress costume. Finding a stick she thinks to be magical, Robotnik sees her magical abilities and decides she is the woman of his dreams. 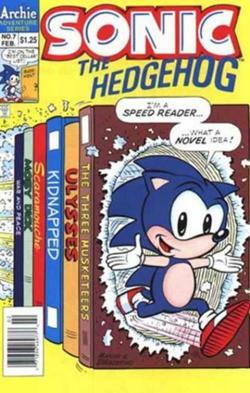 Sonic has to hurry, before Robotnik marries his girl! 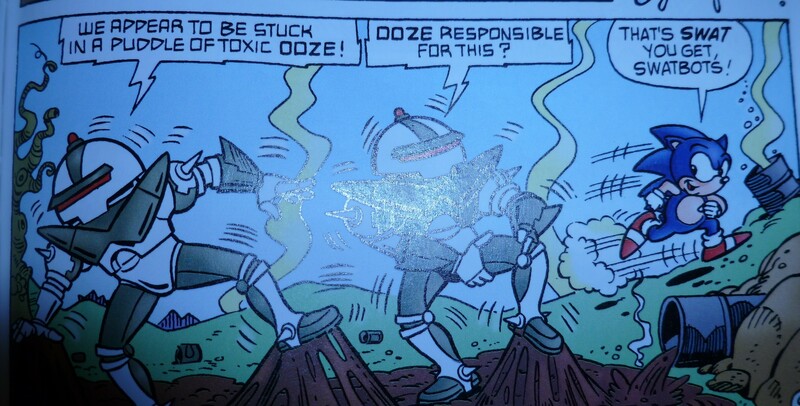 Robotnik gets the idea to create robot superheroes to defeat Sonic and the Freedom Fighters. It appears to be a victorious idea at first, but Sonic isn’t defeated that easily. The Freedom Fighters try to express their musical talents and head over to an abandoned concert hall to perform. Robotnik gets wind of this and shrinks the Freedom Fighters down to miniscule proportions. 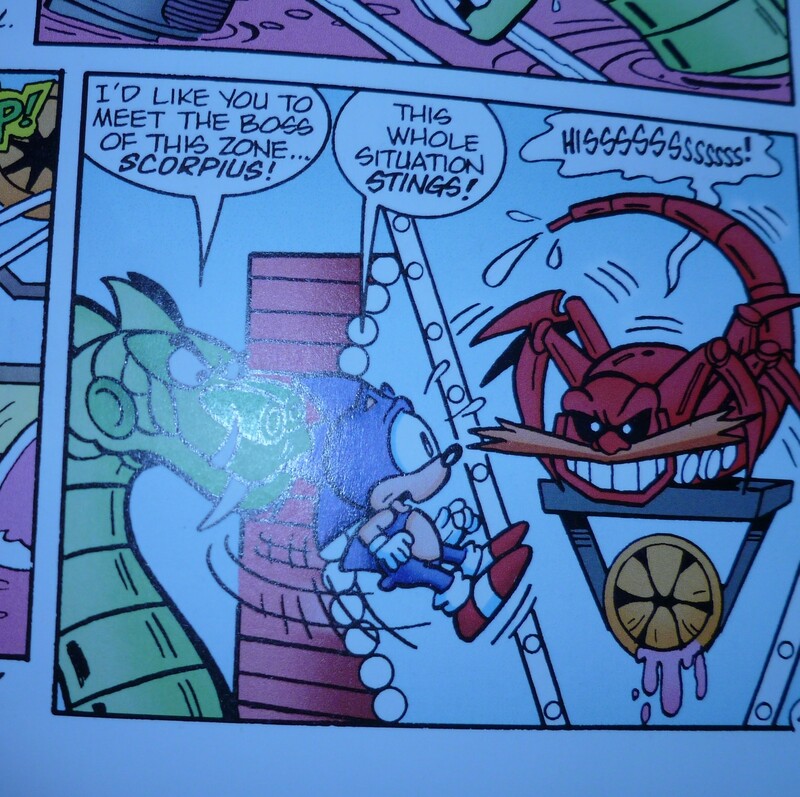 – Crabmeat shows Robotnik his stack of comics. 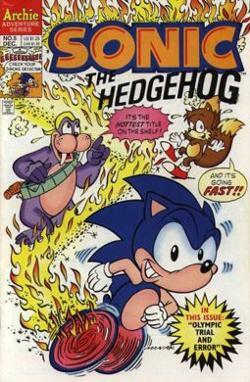 The first comic cover seen is that of Sonic the Hedgehog. – The robot Wolvurkel is modeled after Steve Urkel, the nerdy character from the TV show “Family Matters.” The actor who plays Urkel is Jaleel, White, who voices Sonic the Hedgehog in the television adaptation of the series/comic. 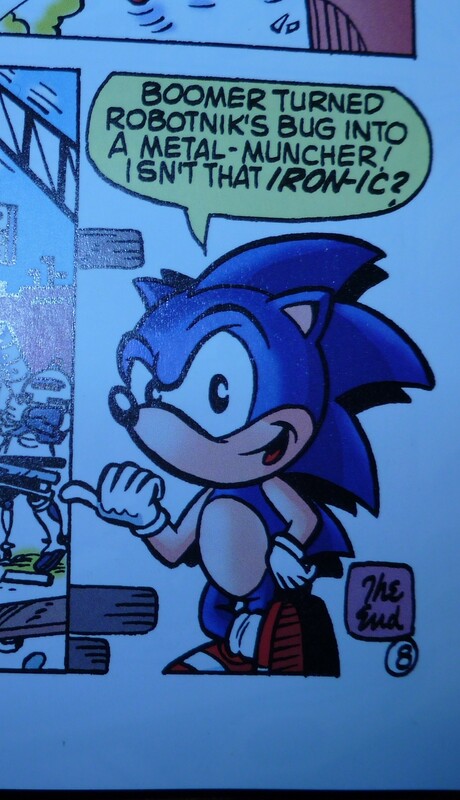 In this issue, Sonic comments that the Wolvurkel robot sounds familiar. Volume 2 is a better collection of stories than Volume 1 because it offers tons more variety. 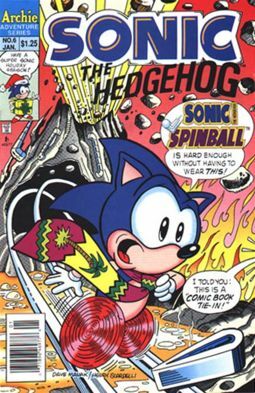 The inclusion of the Sonic Spinball story is a great tie-in to fans of the game. The Freedom Fighters have their stories and backgrounds fleshed out more in this volume: for instance, Sally’s willpower to get things done on her own, and Rotor’s ant farm hobby. The coloring of each issue is of much higher grade this time too: pages are much fuller of content and color. A lot of mainstays make show up first in this collection, including Snively and Uncle Chuck. This is also the first volume to include a bonus section at the end of the book. A “Who’s Who” section that gives some detail to each new character we see in the previous stories. It’s a nice addition that acts as a glossary of sorts for the series. An improvement over the first and a good look at what is to come.